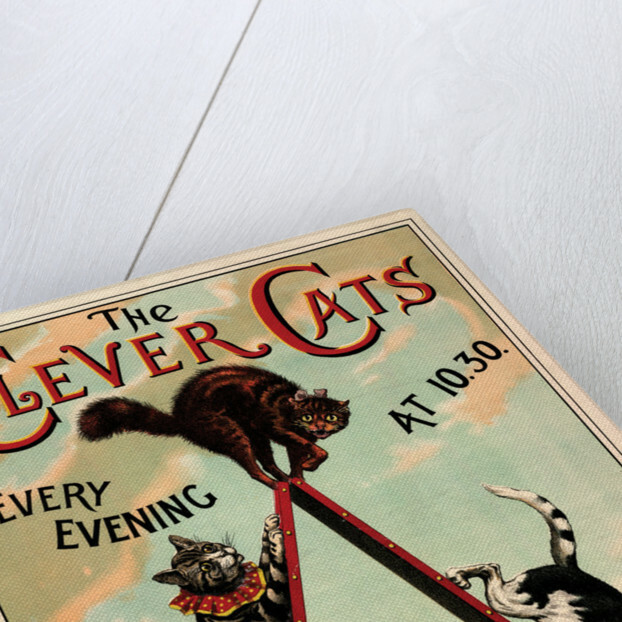 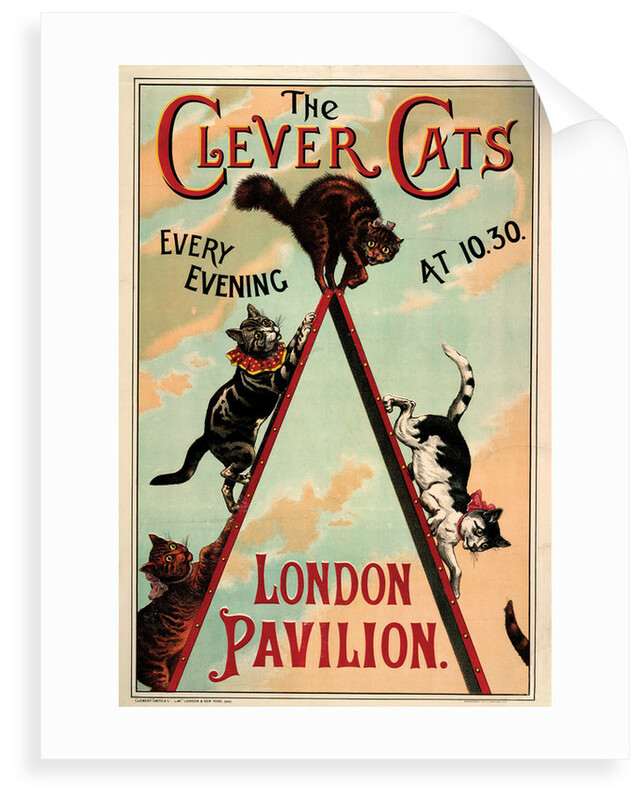 This quirky Victorian poster features the Clever Cats, who performed in an 1888 show at London Pavilion, Piccadilly. 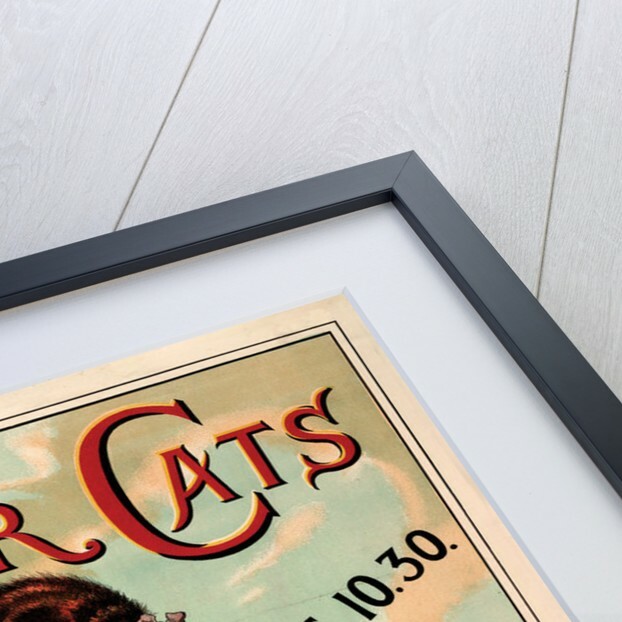 The original poster is part of the British Library's Evanion Collection of over 5000 pamphlets, handbills and miscellaneous printed matter relating to Victorian entertainment and everyday life, collected by the stage magician and ventriloquist Henry Evans - Evanion to his audience. 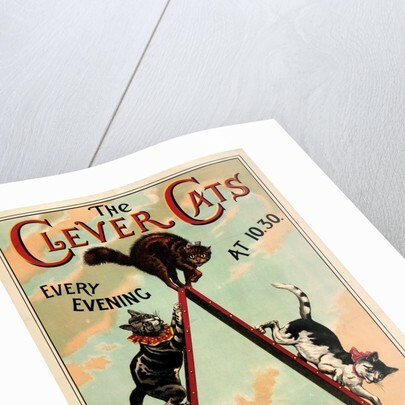 Explore the collections Bestsellers, Cats, Classic design, Nature.